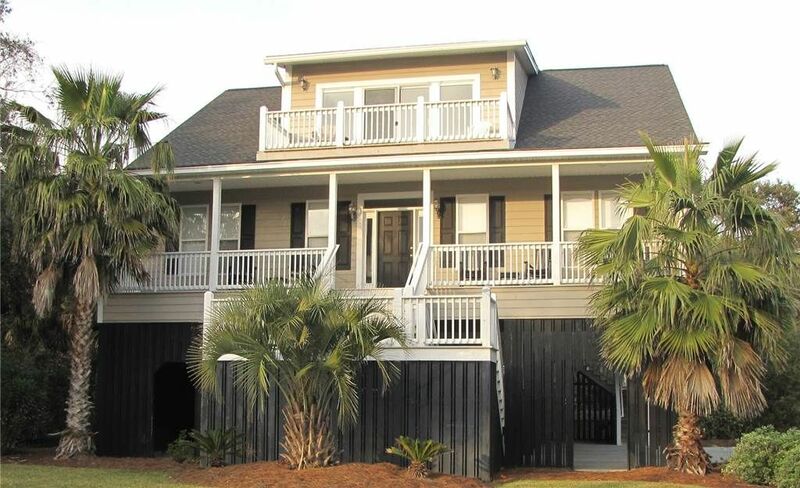 Tucked Away is located on the corner of Fort Street and Myrtle which is just a short walk to the beach. 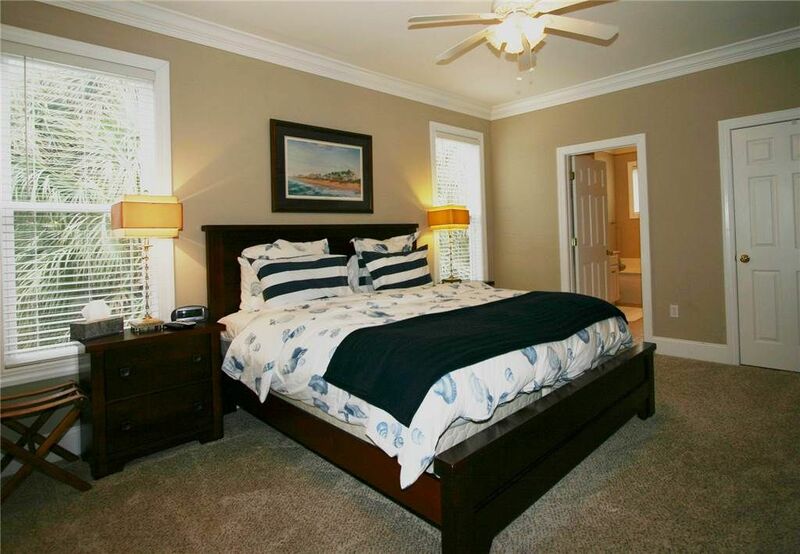 This home offers 6 bedrooms and 6 baths. 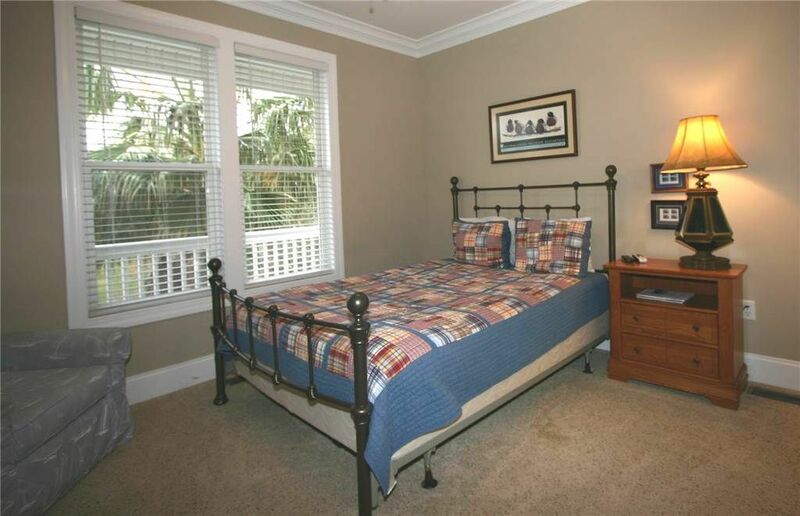 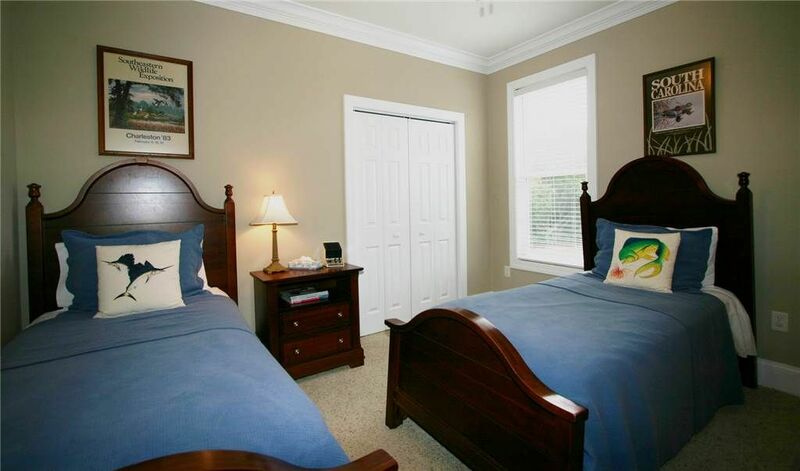 The bedrooms make for spacious sleeping arrangements with the first floor offering 1 King bed, 2 Queens and 2 twins. 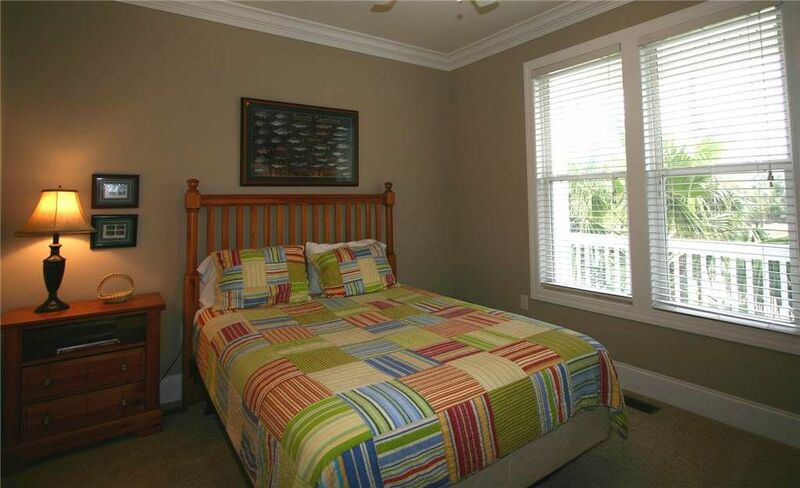 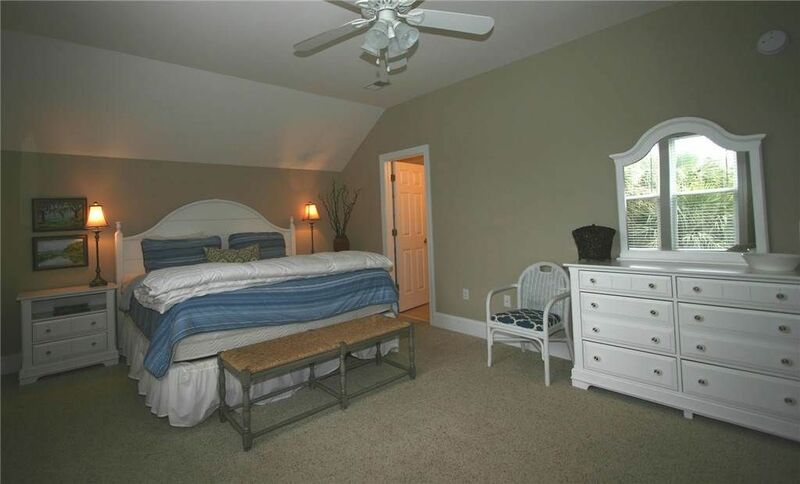 The upstairs arrangements are 1 king bed,2 twins and a trundle with a spacious pool table and room for lounging. 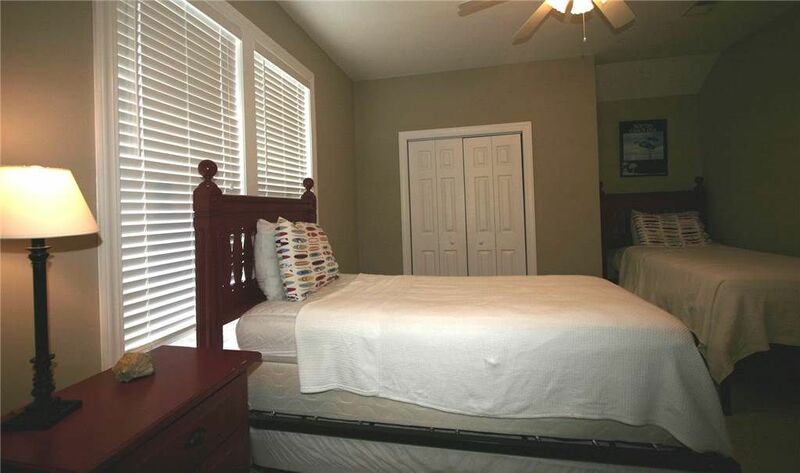 This home offers hardwood flooring in the kitchen and living room area with carpets in the bedrooms and pool table area. 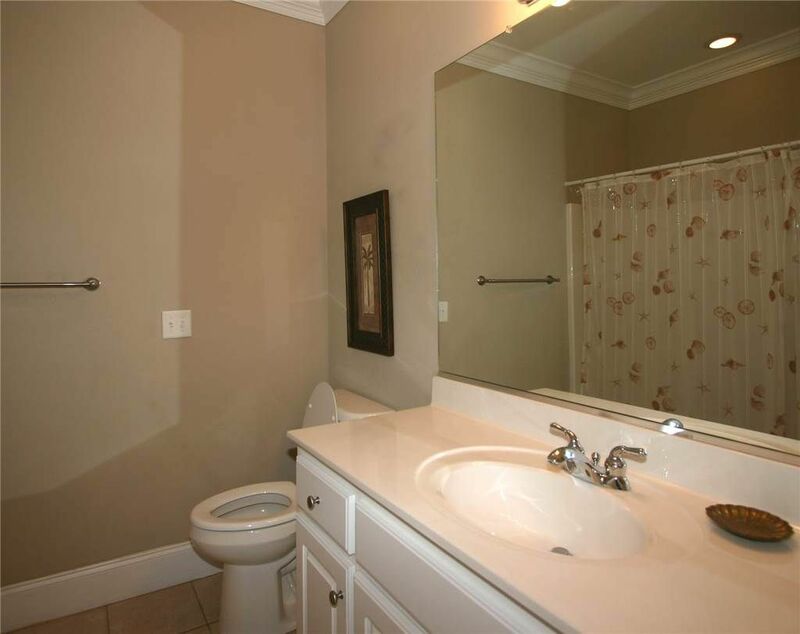 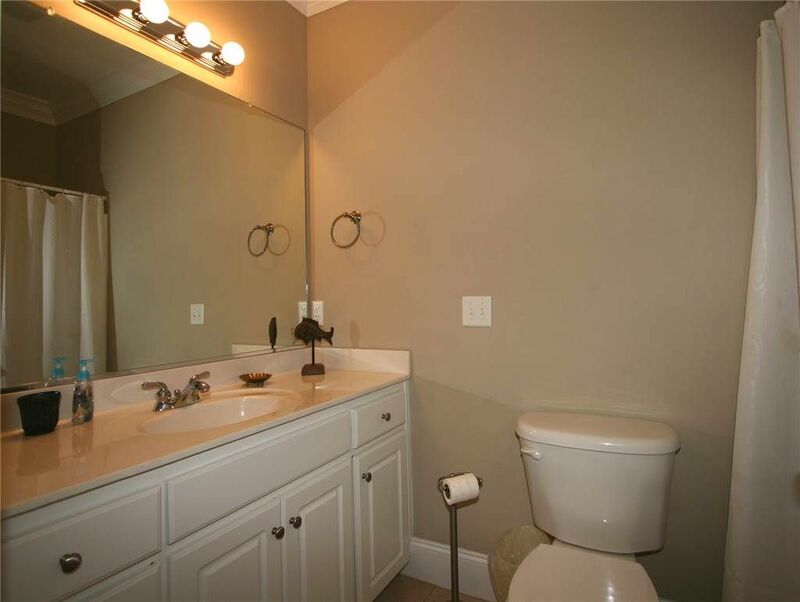 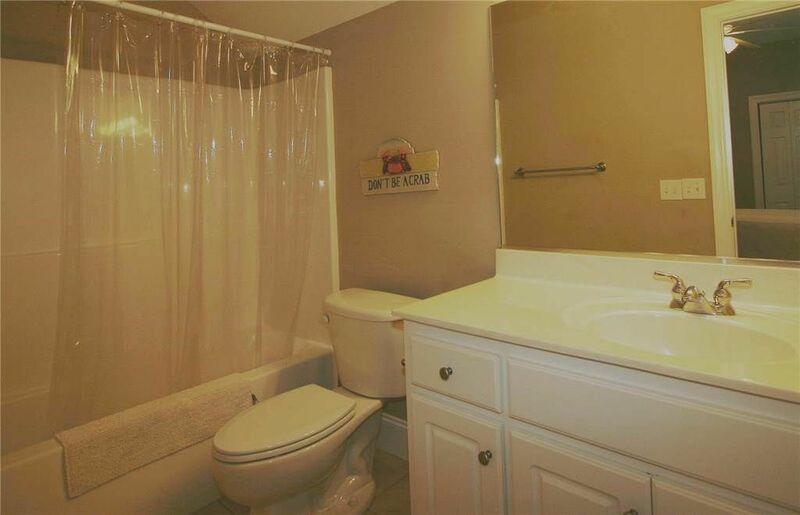 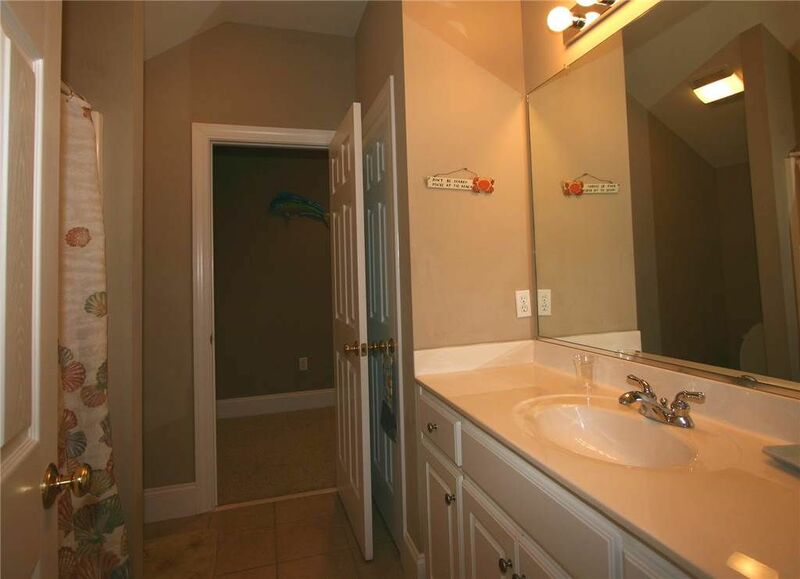 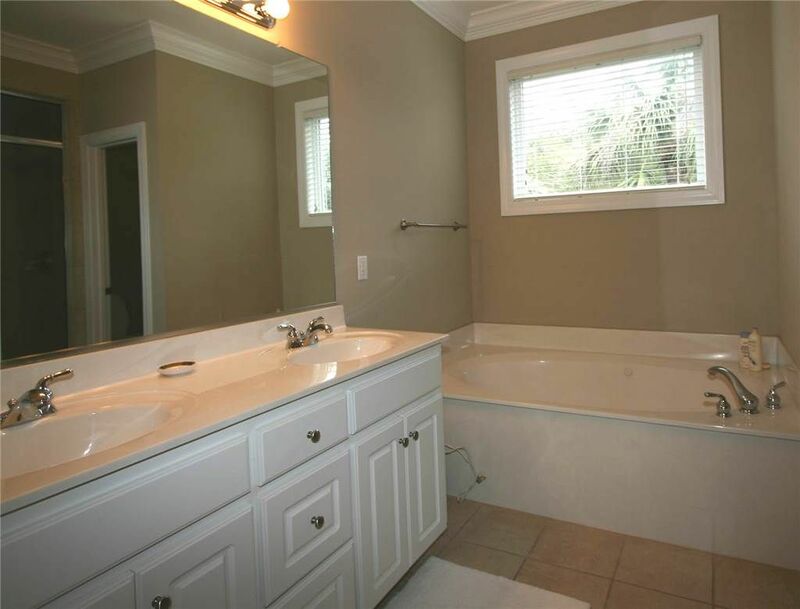 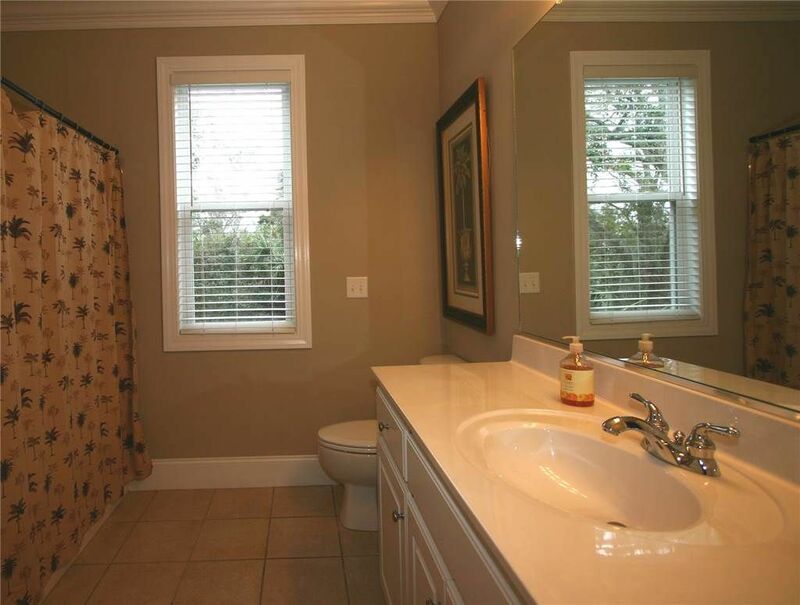 The home has 6 spacious bathrooms all with tub shower combos. 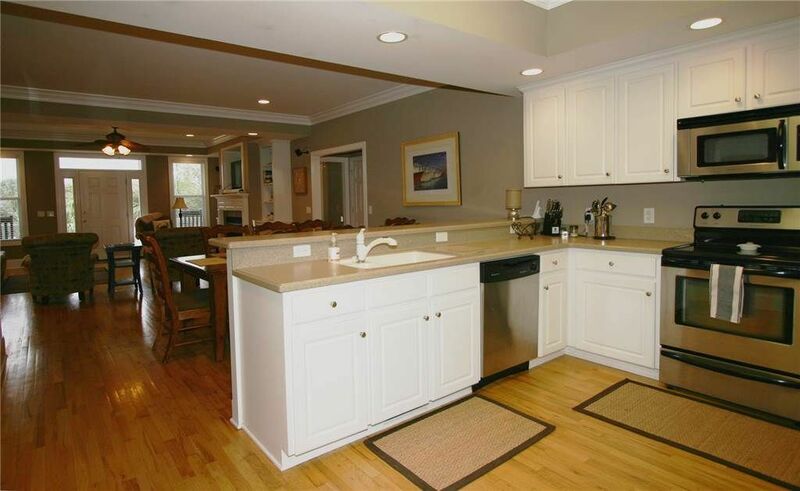 The kitchen is spacious, open and airy with plenty of cabinets and counter space. 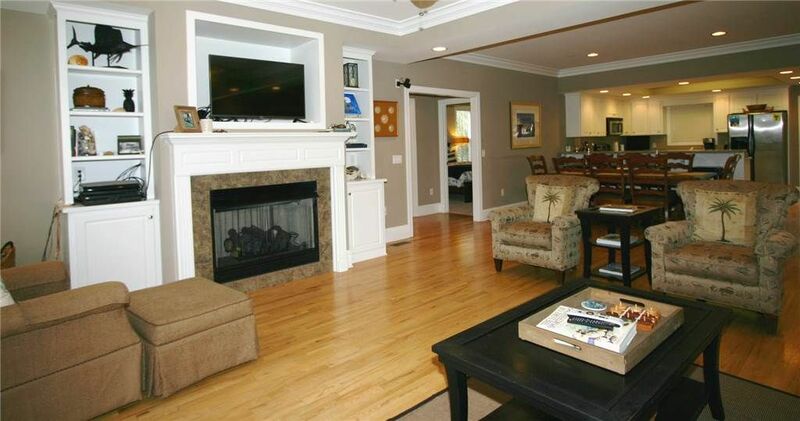 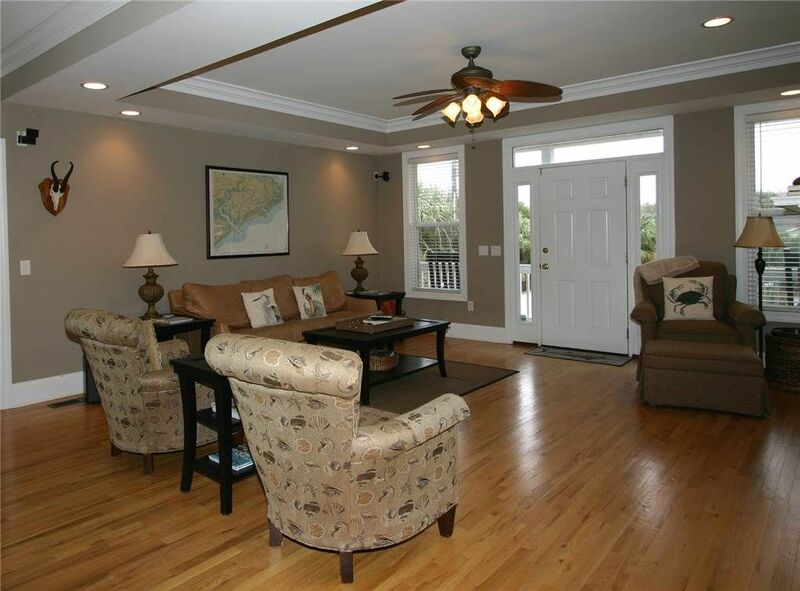 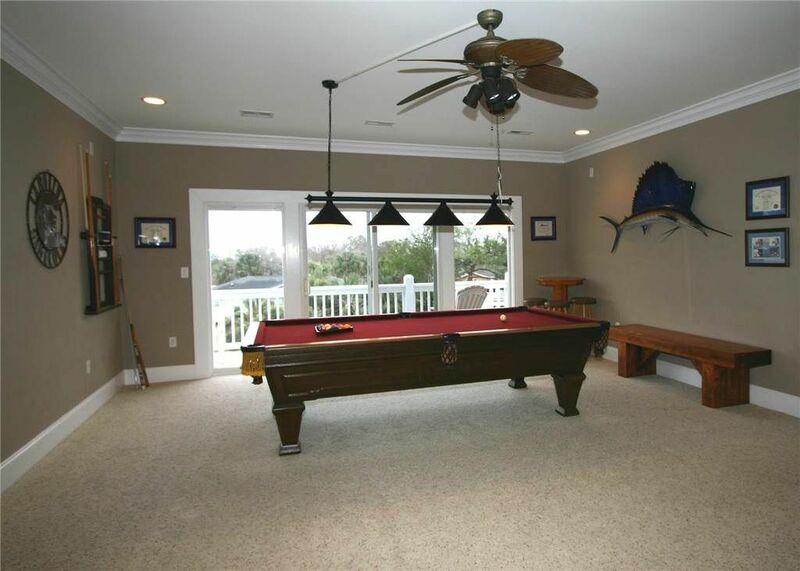 The home itself has an open floor plan great for entertaining your family and friends. 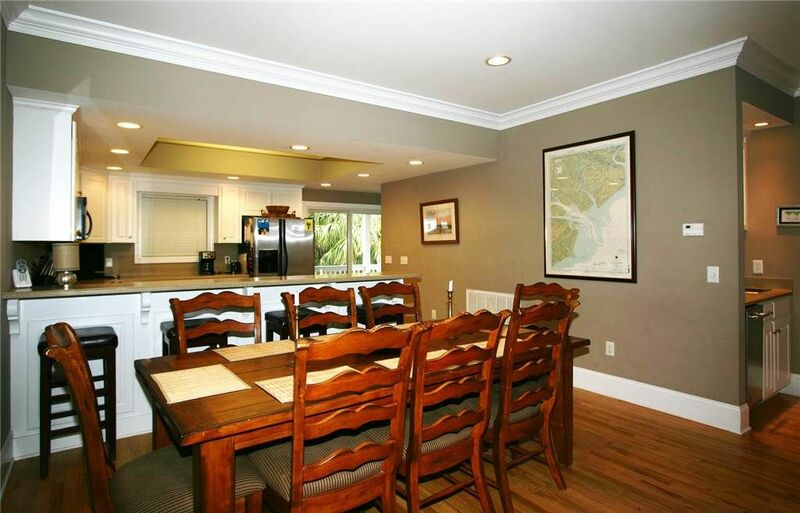 There is seating for 4 at the breakfast bar and seating for 8 at the dining table. 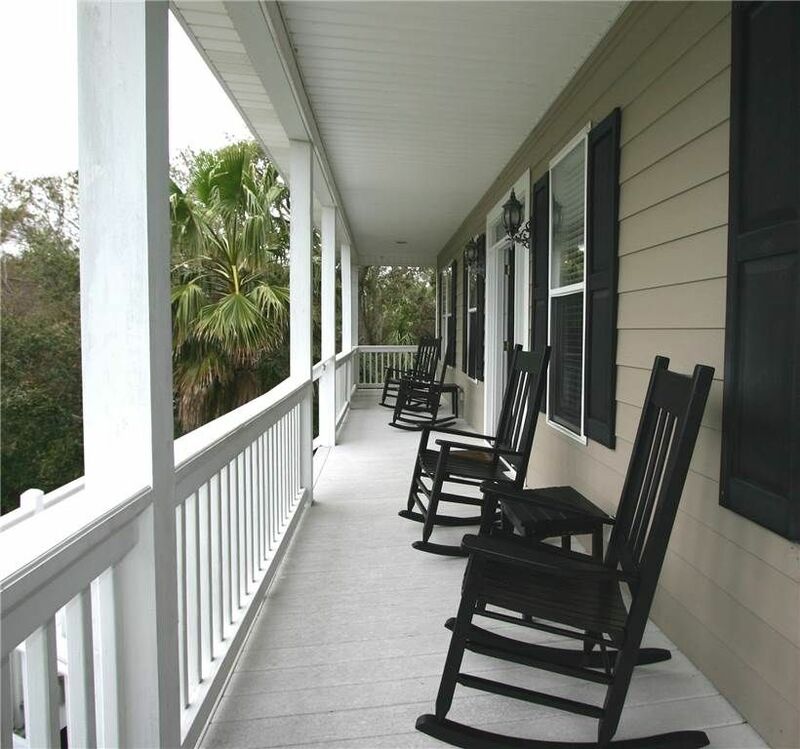 The home offers a large open porch on the street side with a small grassy area for relaxing, entertaining or just sitting back enjoying your time on Edisto. 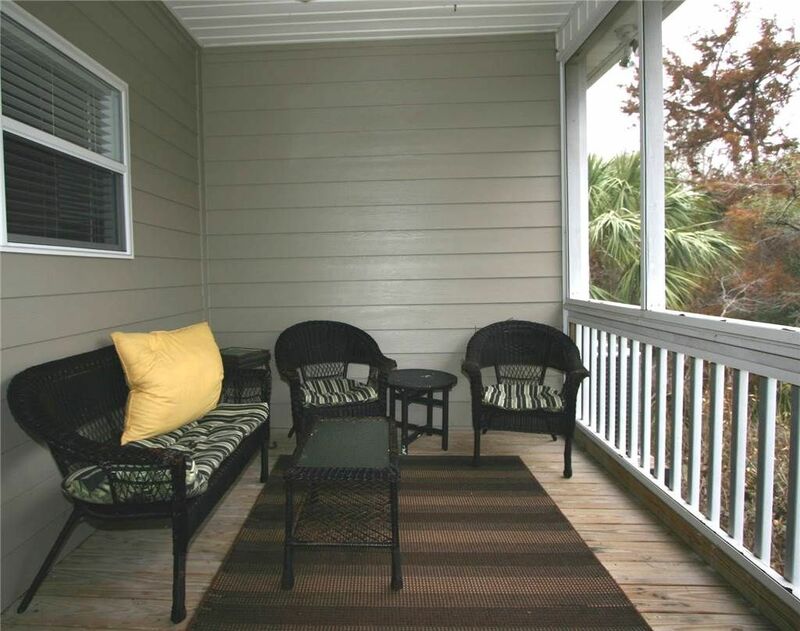 The home has a small cozy back screen porch which is great for relaxing. 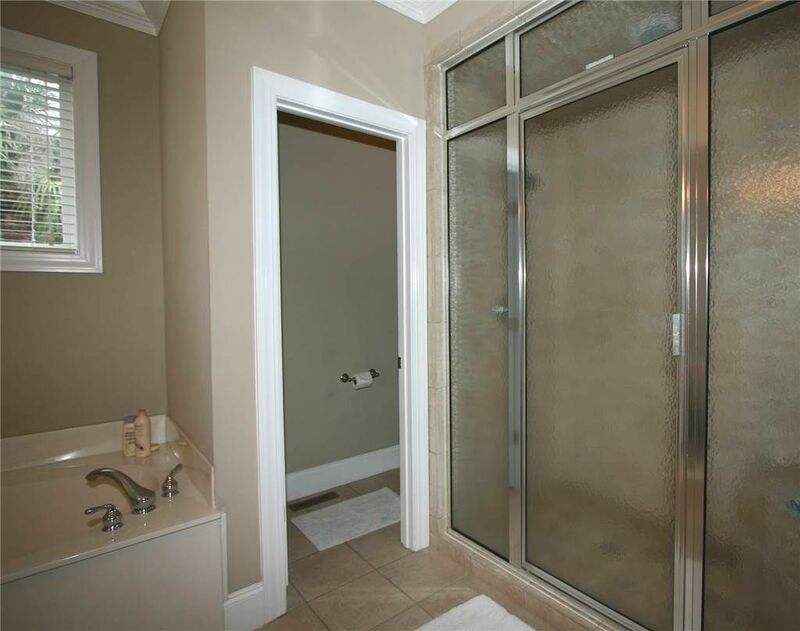 The home has a spacious outdoor shower located under the house which is great for rinsing off after your day at the beautiful Edisto beach.